Have your OWN WEBSITE for FREE! Have you been doing online selling? Do you wish to make it look more formal and official? Do you want your clients to take you seriously? Are programmers too expensive and website creators too complicated? 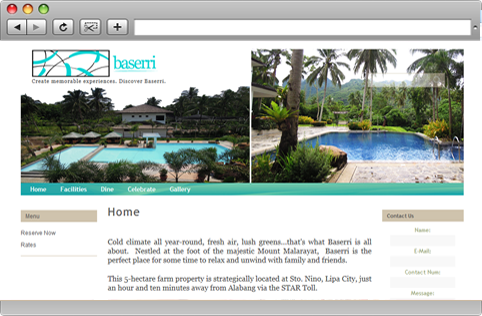 If you want your own website with your own domain name, you would hire a programmer and a web designer who would charge you Php 20,000 for a simple 5-page static website. And that's only the start of the investments you need. The more complex your website becomes, the more money you have to shell out - especially if you want a complete e-commerce online selling and delivery solution. Moreover, to maintain the site you will pay the programmer and web designer for every change that you want done. Plus to top it all off, if the programmer goes abroad or quits the project, you will be left with a website that you can't manage or edit. 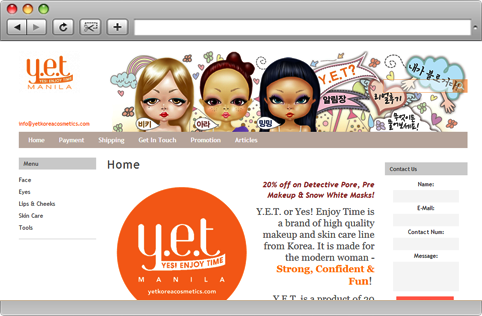 The solution: a Do-It-Yourself Website to save costs - and your sanity! Simply enter your page name and choose the type of page you want. You can add text and images. You can have your own Image Gallery. 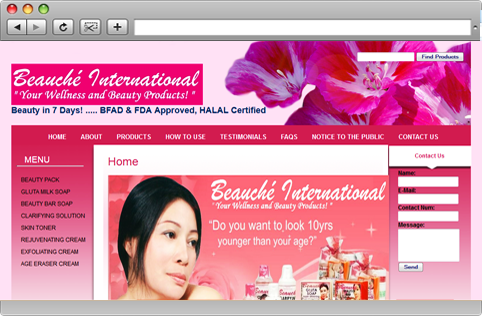 You can also create your own Product Catalogue. Run your business under your own domain name. This would make your customers remember your brand and your products better. It's much easier to promote your business when your website is "businessname.com" rather than "webpage.com/username/businessname.html". Our goal is to provide you with an easy to use shopping cart platform that will make it easy for your customers to purchase your products and services. The shopping cart will have a simple display that your clients will have no trouble operating. This feature comes with a convenient and efficient payment gateway. We provide you with various SEO tools to help search engines find your page when potential customers search for terms related to your business. You can provide your own titles and keywords for your website. 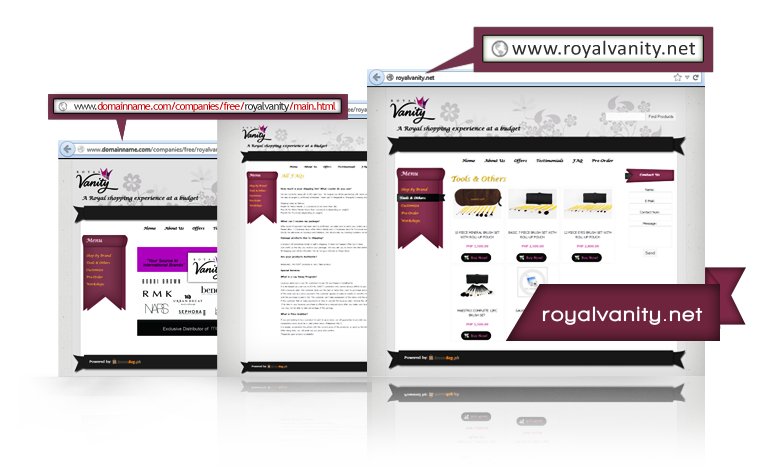 We have also designed the template designs to be crawlable by search engines. With the above reports you can analyze which products need a bigger push and which ones are selling well. Get professional sounding emails with your own domain name. Access your email accounts from the web anywhere. No need to use mail retrieval programs or be confined to one workstation. Create your own FREE site now!